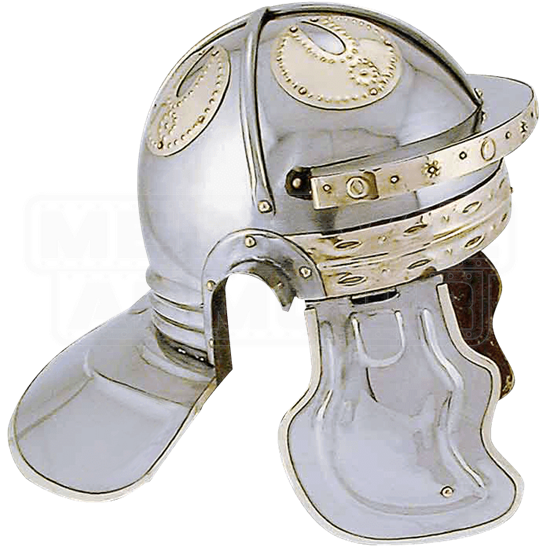 During the time of the great battles with Germanic tribes, Imperial Roman soldiers began reinforcing their helms with added plates and crossbars. These additions added strength along with beauty and protected against the Germans heavy swords and axes. 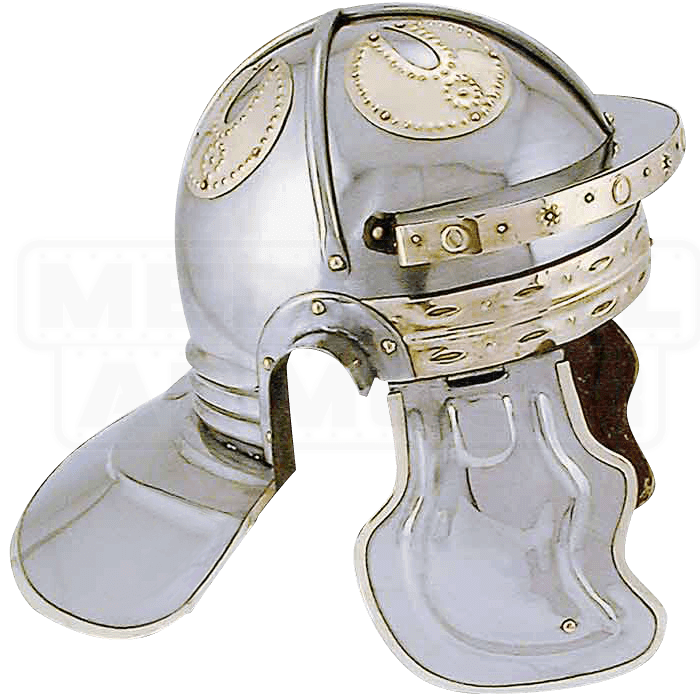 Our hand-crafted 18 gauge steel wearable Roman Imperial Italic helm boasts classic brass accents.